Note: If you don't see a Clutter folder in your mailbox, you might have the Focused Inbox option. 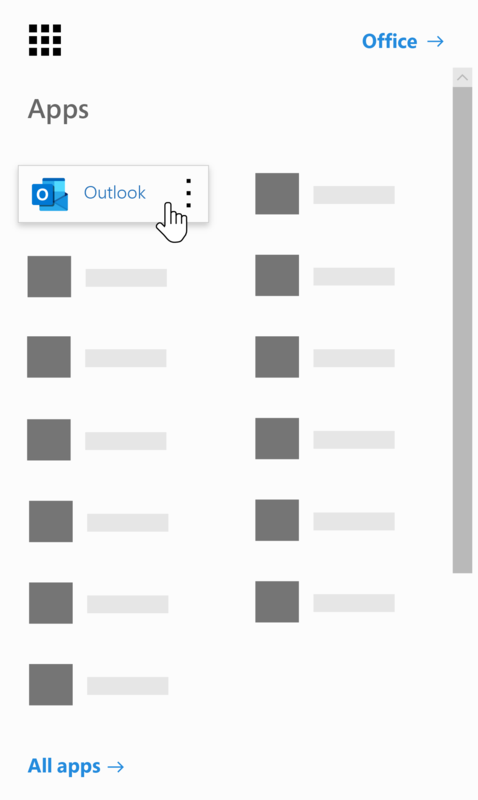 See Focused Inbox for Outlook for more information. Sign in to Outlook on the web using your work or school account. For help, see Sign in to Outlook on the web. This will take you directly to the Clutter options page. Either uncheck the box Separate items identified as clutter or select the option Don't separate items identified as Clutter depending on which option you see on the Clutter options page. Click Save to turn off Clutter. The Clutter folder remains in Outlook even after you turn off the feature. Sign in to Outlook on the web. For help, see Sign in to Outlook on the web. At the top of the page, select the App launcher > Outlook. At the top of the page, select Settings , and under Your app settings, select Mail. Under Automatic processing, select Clutter. 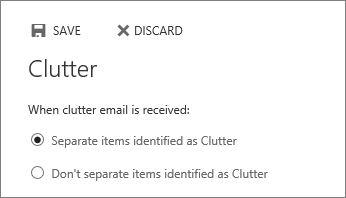 Tip: If you're an Office 365 admin and options to turn off/on Clutter disappeared for your users, please see Configure Clutter for your organization for instructions to re-enable Clutter. If Focused Inbox is enabled for your organization, Clutter won't work. If you'd prefer to use Clutter over Focused Inbox, use the following steps. At the top of the page, select Settings , and under Your app settings, select Mail > Layout > Focused Inbox. Choose Don't sort messages. On the navigation bar, return to Settings and the Clutter options should now be available: Settings > Mail > Automatic processing > Clutter. Choose Separate items identified as Clutter > Save.